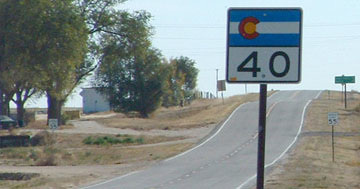 Where US 40 curved to the southeast ahead, US 36 began by continuing due east, straight ahead along the county line road (CR 2). 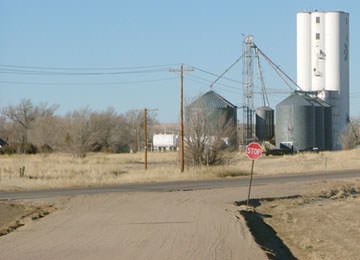 That was the alignment of US 36 for about 20 years: the highway was not rerouted through Byers again until 1955. 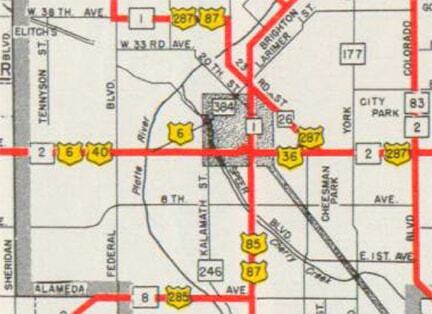 But at that time modern US 36 (which heads on a diagonal north and east from Byers) had not been built. 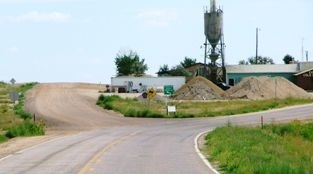 Instead the highway used Xmore Rd south to CR 10, then west into Byers. 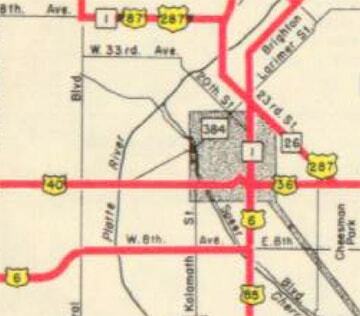 1964 was the first map showing today's diagonal road. 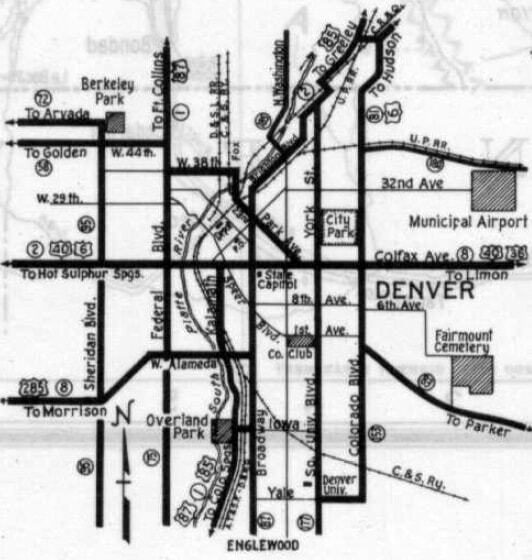 ​Historic CDoT maps are not clear with regard to exactly where the designation terminated in Denver during that 30-year period. 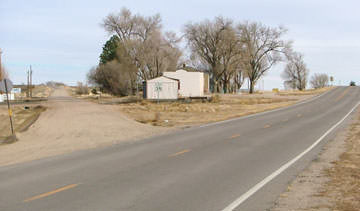 But consider: for the preceding nine years, US 36 had ended at its various junctions with US 40 in small towns on the high plains east of Denver. 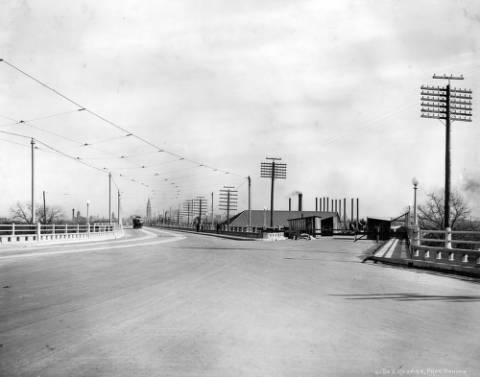 So what was it that prompted officials in 1937 to overlap the designation west with US 40 into the city? A possible explanation is that it had to do with US 6. 1937 was the year that US 6 was extended through Denver and on to southern California. 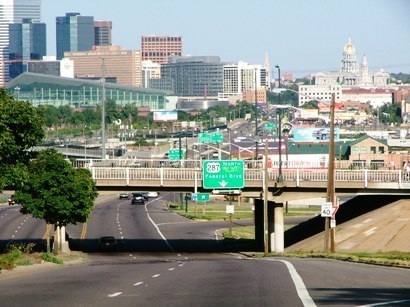 In other words, Denver suddenly found itself served by another transcontinental highway. 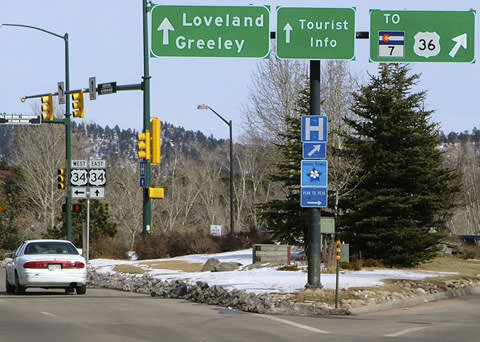 Officials may have reasoned that many travelers would be using US 6, and it therefore made sense to connect other routes to that one. That was looking west on Colfax; the signal ahead is at Colorado Blvd. 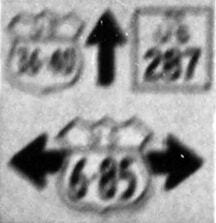 US 6 came in from the right and continued straight ahead, so US 36 ended there. 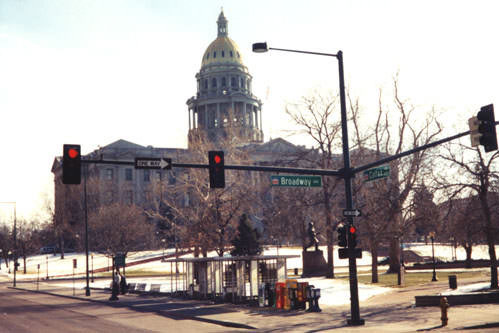 CDoT was proud of that project at the time, because Lawrence Street had just been extended southwest, allowing it to carry northeastbound traffic, while Larimer became one-way southwestbound. 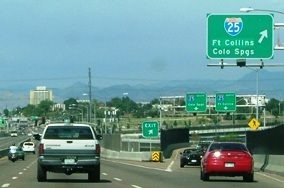 The Denver-Boulder Turnpike was built in 1953. 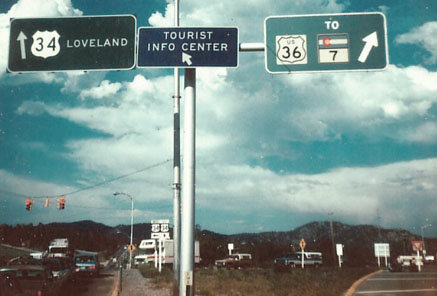 The bonds were paid off in 1967, so the tollbooths were removed, and by 1968 US 36 had been extended west from Denver. 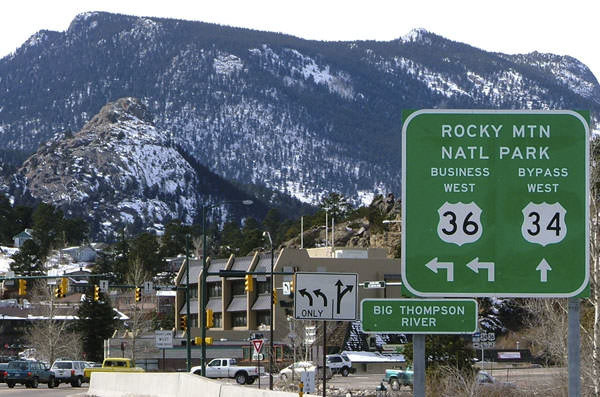 From Colfax and I-25, US 36 went north**, then northwest on the Turnpike, through Boulder, and on to Estes Park on former CO 66. 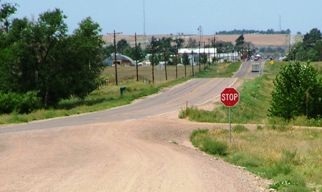 For the next ten years, the west end of US 36 was right in Estes. **1970 was the year that US 36 traffic was changed such that it used I-70 and I-270 to get to the Turnpike. 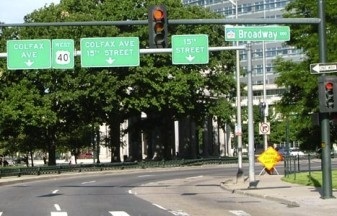 ​From 1937-1946, eastbound US 6 came to this intersection and then went north (left). 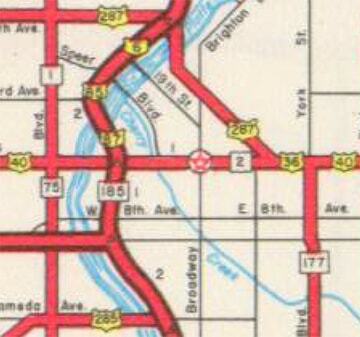 So US 36 began straight ahead during that timeframe. 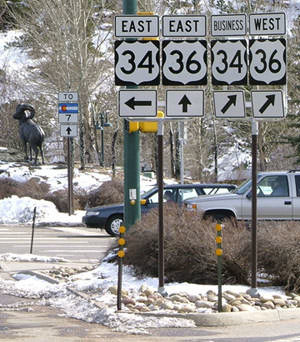 ​In 1978 the US 36 designation was extended west of Estes, along former CO hwy. 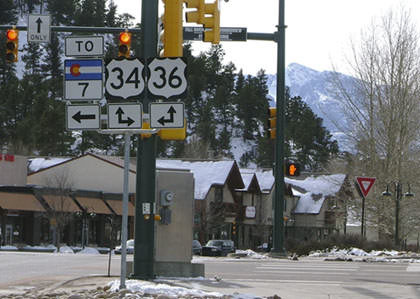 66, to its current terminus in Rocky Mountain National Park.